If you are facing charges that place you in the category of a habitual offender, Colorado attorneys at Mastro, Barnes & Stazzone P.C. have the experience you need to help you protect yourself from harsh legal consequences. We have represented many clients who have faced jail time or increased sentencing because of prior convictions, and we understand how to approach a defense in these situations. There are a lot of details involved when looking at habitual offender charges, including whether the crime was a misdemeanor or felony. A legal team that has dealt with the Colorado court system can advise you as to the possible outcomes for your unique circumstances. We will sit down with you and explore any prior convictions you may have had and how that may impact the charges you are now facing. 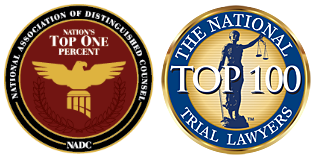 Once we gather all the information, we’ll talk with you about possible defense strategies and how to approach preparing for trial if court time is necessary. In all cases, our overarching goal is to help you arrive at the best possible outcome for your situation. Many habitual offenders face enhanced sentences and fines—or even jail time in Colorado, depending on the circumstances. One of the more common reasons people seek our counsel is a habitual traffic offender situation. Colorado law specifies harsh penalties for driving on a revoked license, as well as serious consequences for those who repeatedly violate the law when operating a motor vehicle. Convictions for things such as child abuse, sexual assault, use of a deadly weapon, and other offenses can also provide ground for more stringent sentencing if the person charged has had prior felony convictions. Repeated convictions generally pave the way for harsh sentencing in Colorado unless you have an experienced attorney who knows the law and how to defend you against these charges. We can examine your case to see if there are any areas we can utilize to fight for you. Colorado is known as a “three strikes” law state. This means that for certain repeat offenders, a third felony can result in a very long jail sentence—or even life in prison, depending on the crime that was committed. The seriousness of these circumstances necessitates having a strong legal defense. We can handle that for you. The office of Mastro, Barnes & Stazzone, handles habitual criminal matters on a case-by-case basis. Please call to discuss the particulars of a habitual criminal matter with one of our criminal defense lawyers. Colorado law is complex, but we have worked with many clients to prepare a defense and have been able to reduce charges or get them thrown out altogether in certain situations. Every good defense begins with a consultation. Contact our office to schedule time with our legal team and find out more about the options that are available to you. Contact us to fight habitual offender sentencing!